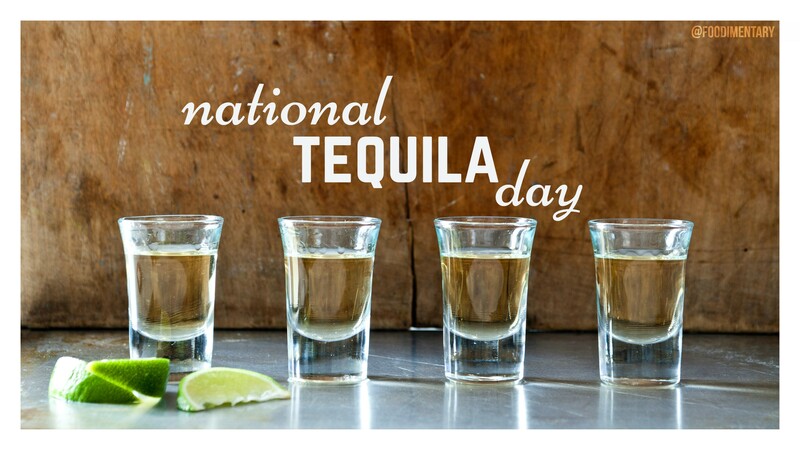 Over 50 million liters of tequila are consumed in America annually. Studies have shown that consuming tequila can cut your risks of dementia by 37%. Some tequila is aged in barrels. Many are aged up to 30 years to create the perfect flavor. 1802 Alexandre Dumas was born. French author (‘The Three Musketeers’, etc.) he was also well known as a gourmet. He also wrote ‘Grand Dictionnaire de la cuisine,’ which he finished a few weeks before his death in 1870, and which was published in 1872. 1910 The first publication of the Paul Bunyan stories of oral folklore, by James MacGillivray in the Detroit News-Tribune. A mythical hero of giant proportions who had an appetite to match his size. His camp stove had a griddle that was greased by men with sides of bacon strapped to their feet. 1938 Nestle introduced Nescafe Instant Coffee in Switzerland. 1949 The largest muskellunge (‘Muskie’) caught with rod and reel weighed over 67 pounds and was caught in Hayward, Wisconsin. 1959 Then vice president Richard M. Nixon argued with Soviet Leader Nikita Khruschev while Khruschev was touring the United States. They were touring a kitchen at the time, and the discussion became known as the ‘Kitchen Debate’. 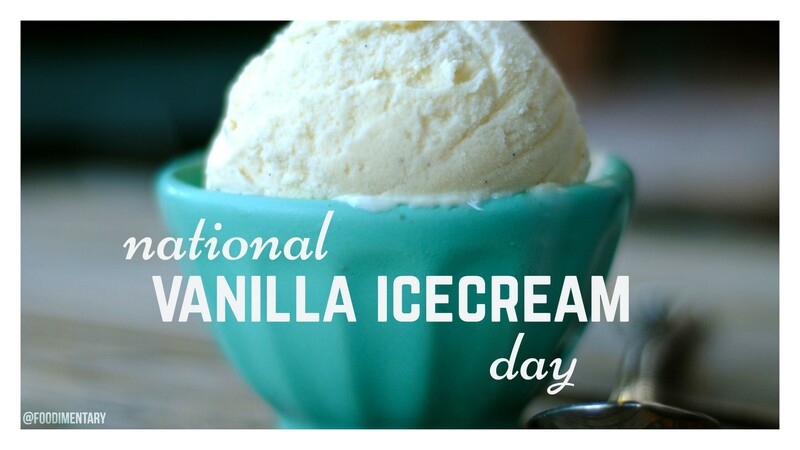 July 23rd is National Vanilla Ice Cream Day / #NationalVanillaIceCreamDay The most popular flavor too!! It’s a tropical orchid, and there are more than 150 varieties of vanilla, though only two types – Bourbon and Tahitian — are used commercially. Vanilla grows within the 20-degree band either side of the Equator and is native to the Americas. The Olmeca people on the Gulf Coast of Mexico were perhaps the first to use vanilla as a flavoring in beverages. The Totonaca people of the Gulf coast of Mexico were probably the first people to domesticate vanilla. 1894 Arthur Treacher, actor, announcer was born. He later founded Arthur Treacher’s Fish & Chips restaurant franchise. 1904 The Ice Cream cone was invented. Charles E. Minches invents the ice cream cone for his customers convenience at the St. Louis World’s Fair (The Louisiana Purchase Exhibition). This is only one account, there are several other candidates. 1915 Vincent Sardi Jr. was born. Owner, Sardi’s Restaurant, New York, N.Y.
Tapioca pudding (similar to sago pudding) is a sweet pudding made with tapioca and either milk or cream. Coconut milk is also used in cases in which the flavor is preferred or in areas in which it is a commonplace ingredient for cooking. It is made in many cultures with equally varying styles, and may be produced in a variety of ways. Its consistency ranges from thin (runny), to thick, to firm enough to eat with a fork. 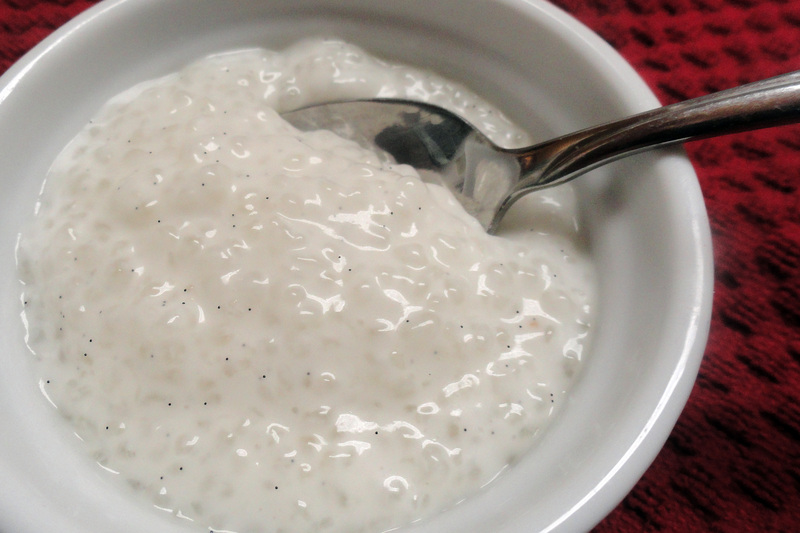 The pudding can be made from scratch using tapioca in a variety of forms: flakes, coarse meal, sticks, and pearls. Many commercial packaged mixes are also available. British schoolchildren have traditionally nicknamed the dish frog spawn, due to its appearance. American children often call it fish eyes and glue. 9th or 10 century St. Swithin’s Day. If it rains on St. Swithin’s Day, it means rain for 40 days. 1869 Hippolyte Mege Mouries patented margarine. Emperor Napoleon III had offered a prize for a suitable substitute for butter, for use by the French Navy. 1907 Orville Redenbacher was born. (Date is listed variously as the 15th or 16th). Founder of the gourmet popcorn company. 1931 ‘Kid Chocolate’ (Elgio Saldana) becomes Cuba’s first world boxing champion after defeating Benny Bass for the Jr. Lightweight Championship. 1945 Peter Lewis of the music group ‘Moby Grape’ was born.